NEW DELHI (Reuters) - General Motors Co (GM.N) said on Wednesday it will invest $1 billion over the next few years to turn India into a global export hub, even as it cuts production capacity in the country due to sluggish demand. The Detroit carmaker, which has the capacity to produce more than 280,000 cars a year in India, will reduce this to 220,000 a year by 2025 as it stops making cars at one plant and modestly raises capacity at its second plant in the country. "We need to have that kind of consolidation and rationalization to make sure we are here for the long term, that we have a sustainable business," CEO Mary Barra told reporters in New Delhi. India's automobile market has been sluggish for the past few years, with annual sales of less than 3 million cars. But by 2020 analysts expect India to become the world's third-largest passenger vehicle market after China and the United States. Even after two decades in India, GM's sales are falling and it is still losing money. GM lost 38.5 billion rupees ($604 million) in India in the year to March, a company filing with the corporate affairs ministry showed. GM is confident of building a profitable business in India, Barra said, but did not give a timeline. Western carmakers such as GM, Volkswagen AG (VOWG_p.DE) and Ford Motor Co (F.N) have struggled to increase sales in India, which is dominated by Japanese and Korean auto makers such as Suzuki Motor Corp <7269.T> and Hyundai Motor Co <005380.KS> that have a strong portfolio of low-priced, compact cars. The recent Indian economic slowdown has left Western carmakers with excess production capacity. This has prompted some carmakers such as Ford and Volkswagen to boost exports from India to use their capacity and benefit from low labor costs and economies of scale, while at the same time working to increase domestic sales. GM India's investment is part of its plan to invest $5 billion over several years to develop a global family of Chevrolet vehicles with Shanghai Automotive Industry Corp (SAIC), the state-owned Chinese automaker. GM has two plants in India, one in Gujarat state and the other in Maharashtra that together can produce more than 280,000 vehicles a year. 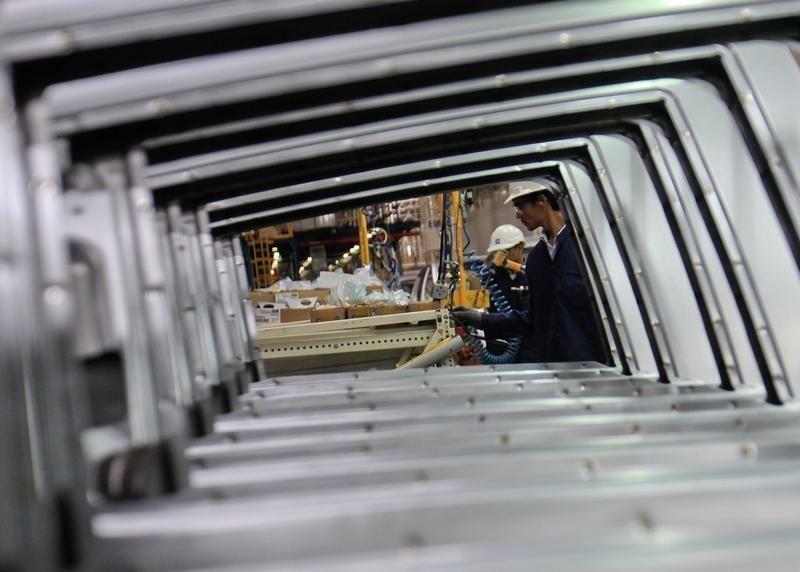 The Gujarat plant, with a maximum capacity of 110,000 vehicles a year, will shut by mid-2016. GM's Talegaon plant in Maharashtra state has a capacity of 130,000 vehicles a year, which can go up to 170,000. GM plans to increase this to 220,000 vehicles a year by 2025 of which 30 percent will be for exports to Africa and the Middle East. In 2014, GM sold 56,700 vehicles in India. "We are underutilized right now and we need to clean up," GM's chief of international operations, Stefan Jacoby, who has been realigning global operations to squeeze out better profits, told Reuters. GM will also launch 10 new domestically manufactured vehicles in India over the next five years in a push to double its market share by 2020, Jacoby said. In 2014, GM had a market share of 1.8 percent. "With this investment we plan to tap India's potential as a market and as a low-cost manufacturing base for the future," Jacoby said, adding that India will likely compensate for the slowdown in China.